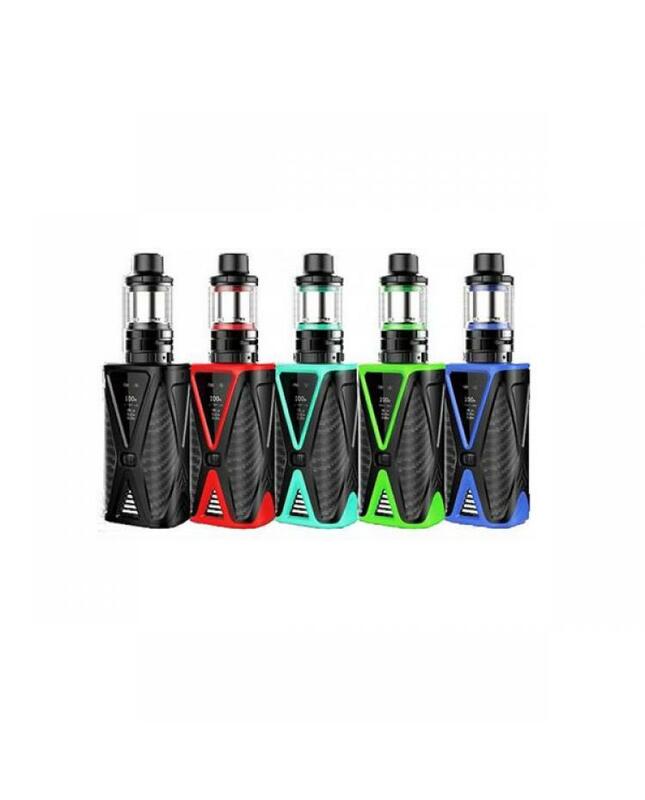 Kanger spider 200W vapour kits, five fashionable colors available, made of high-quality stainless steel and borosilicate glass material, include spider box mod and five 6mini tanks. the spider box mod built-in 4200mah battery and max output 200watts supports resistance as low as 0.05ohm, different working modes switchable, three different vaping effects available. the spider vapour mod with large OLED screen will show you the full vaping data clearly. the innovative roller switch design will bring you totally fresh vaping experience. the spider being charged if the white light flashes. the five 6 mini tank can hold 4ml e juice, top refill design, only unscrew the top cap and inject the e juice directly into the holes from both sides, airflow adjustable slots at the bottom, vapers can adjust the airflow to your preference easily. the tank comes with tiger coil heads, which is 3pcs 0.6ohm coil heads in parallel, will produce a large cloud of vapor.